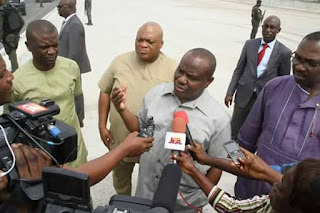 Rivers State Governor, Nyesom Ezenwo Wike has declared that if elections are conducted ten times in the state, candidates of the Peoples Democratic Party, PDP, will still emerge victorious because of the commitment of the party to the wellbeing of the people. He further declared that the people are waiting for the total deployment of card readers, saying that the defeated APC in Rivers State will not win any unit because the APC and her sponsors have since betrayed the people. 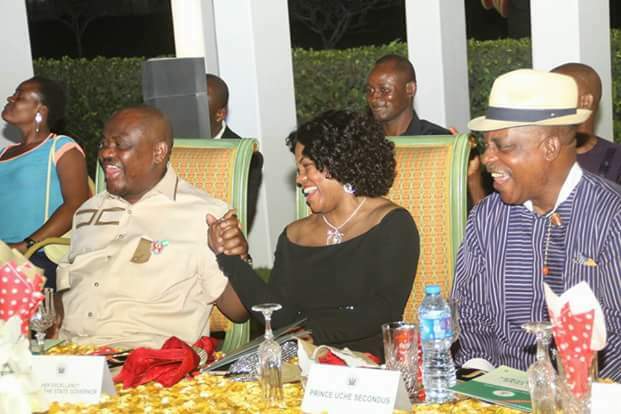 Addressing a cross section of Rivers people at the state’s New Year Banquet in Government House, Port Harcourt on Friday night, Governor Wike said: “If elections are conducted ten times in Rivers State, PDP will win. “We are waiting for the card reader, but let me see which unit they (APC) will win”. Governor Wike charged the people of Rivers State to always respect the judiciary irrespective of judgments, noting that the stability of the country depends on the judiciary. According to him, his administration has respected the full separation of powers, which has led to the independence of the Judiciary and the Legislative Arms of Government. He expressed happiness that he lived up to his promise to revive the Judiciary after immediate past governor Amaechi closed the courts for two years, pointing out that Amaechi was the first person to take advantage of the revived Judiciary by rushing to court over the Judicial Commission of Inquiry. The governor added that never again will the State House of Assembly be subjected to sitting in Government House under the guidance of the governor as was the case before he took over. He said: “You don’t need to control any arm of government. What you need is mutual cooperation to develop the state”. He outlined the achievements of his administration in terms of road infrastructure, schools development, empowerment programmes and health and agricultural schemes, saying that 2016 would witness more development projects in all sectors in line with the New Rivers vision. He said that his administration was able to make landmark achievements in seven months because of the support and prayers of a vast majority of Rivers people. He declared that he will never be distracted, noting that his commitment to serve Rivers State is total irrespective of any outcome. 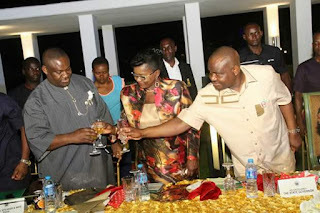 The Rivers State Governor said his administration took bank loans to finance projects ,not for politicking as rumored and falsely reported in the media. “ If I take a loan, I would use it to the benefit of the Rivers people. I will not use it to play politics. “ Governor Wike said. Governor Wike said his administration is interested in completing abandoned infrastructural projects, provided they impact positively on lives of the people. He explained that though his administration had paid N 1 .5 b for the foreign scholarships, it could not continue to fund it because the previous government of Rotimi Amaechi had incurred a debt of N3.5 b for 2013 – 2014 and the 2014 -2015 sessions. He stated that the decision was taken in the overall interest of the state in view of dwindling finances. Earlier, State Head of Service, Mr Rufus Godwins stated that the people of the state are solidly in support of Governor Wike because of his commitment to development of Rivers State and his superlative achievements. Former Minister of Sports, Dr Tammy Danagogo said that Governor Wike has lived up to the expectations of the people through his people focused programmes and projects. The New Year Banquet, the first under Governor Wike’s administration attracted former governors, state and Federal Legislators, National and State party officials and critical stakeholders of Rivers State.